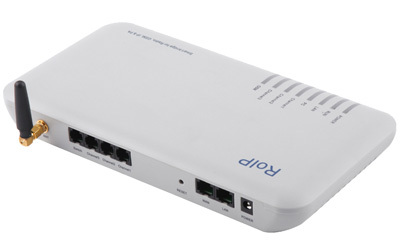 3-PPT Port with GSM Module Cross-Network Gateway RoIP302 is developed based on the RoIP technology to bridge voice communications across multiple networks. It can connect up to 3 radio stations operated at different frequency bands simultaneously. These 3 radio stations can be configured in a single or multiple groups to communicate with another group which is defined in another RoIP device. This enables a very flexible configuration among various radio stations in order to form a single or multiple RoIP networks. 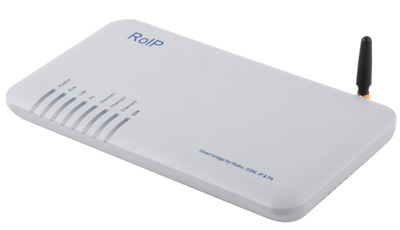 With the built-in GSM and VoIP interfaces, RoIP-302 can also bridge voice communications among these networks. Assume there are several Radio groups in two different cities. Since the coverage of radio is limited, they are not able to communicate directly. RoIP302’s P2P scenario could implement the communication without distance limitations.